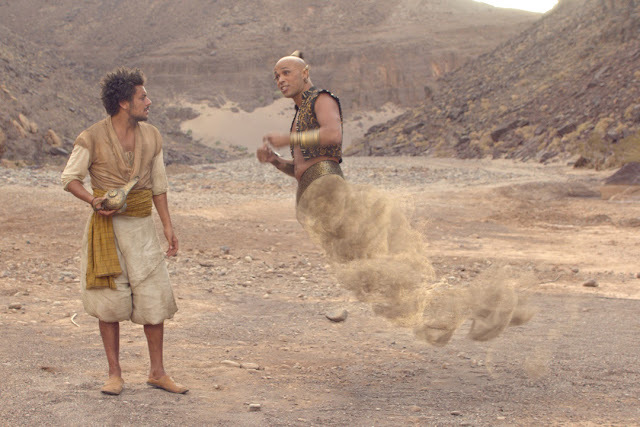 Latest Adaptation Of Aladdin And The Magical Lamp In “the New Adventures Of Aladdin"
French comedian Kev Adams star in the latest adaptation of the famous Arabian folktale of Aladdin and the magical lamp in “The New Adventures of Aladdin” that will open in local cinemas this January 27. Adams takes on the role of Sam in the movie who is a modern Aladdin who lives both in Baghdad and in a magical world. “The New Adventures of Aladdin” sets off when Sam ( Kev Adams) and Khalid , two young thieves are about to rob a department store on the evening of 24 December . Sam, disguised as Santa Claus is attacked by children who want him to tell a story . In order not to attract attention , he began to tell them the story of Aladin and the wonderful lamp but he gives a very personal version of the tale of a thousand and one nights while trying to win the heart of Princess Shalia (played by Vanessa Guide). Guide describes her role as very colourful, “I am very happy to have had the chance to play this role in high colors, it has lots of character and a fairly wide range of emotions, for an actress it's great to interpret. My role Princess Shalia dreams freedom outside the enclosure of thePalace and is tired of being considered like a little girl by her father Sultan. Shallia has this ability to marvel discovering real life on the streets of Baghdad. 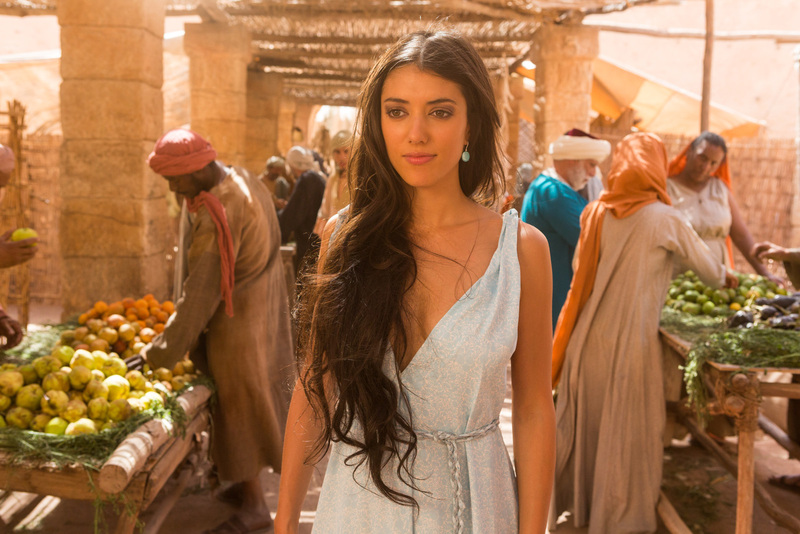 She eventually falls in love with Aladdin,” shares Guide. Vanessa Guide has so far starred in movies such as “Puzzle Chinese” and “Papa Mom” and “The New Adventures of Aladdin” is her first female lead. “Yes, it's been a while now that I work and I earn my living as actress. “The New Adventures of Aladdin” opens January 27 in cinemas nationwide from Pioneer Films.